Samsung is shipping an update out to the Gear S2, focusing on “improvements of both ease of use and speed of access.” Inside of the update, owners will find that discovering and downloading new watch faces has been made very easy, with the ability to set new faces directly from the watch now available. Previously, users would need to find new watch faces via the mobile phone application, but now all of the process can be done on the smartwatch. If you find a face you like while searching on your watch, simply press download and install. 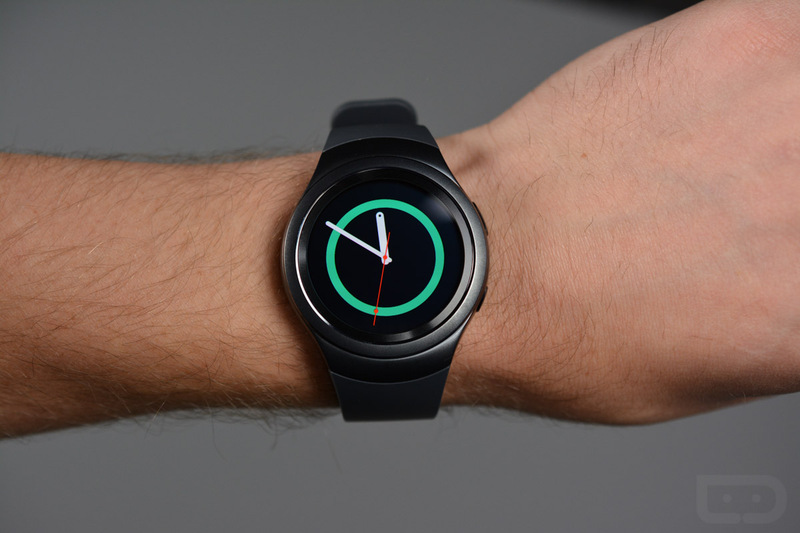 Additionally, Samsung has built in more S Health changes, including the tracking of sleep data automatically. On top of that, if you are very proud of a recent run or workout, you can post your exercise data straight to Facebook from the Gear S2 for all to see. S Voice is also getting a few changes. Users can utilize a new Timer function by asking S Voice to begin a timer, as well as check for new messages. If a user has no new messages, the watch will ask if you’d like to open up your messaging app on the watch, giving you an overview of the messages you have recently received. Lastly, inside of the Samsung Gear app, a Contact Us button has been added, providing a direct line to support if you are haaving troubles with your Gear device. Gear S2 owners, be on the lookout for this update the next time you sync your smartwatch to a phone.